We offer wide range of Kids Swimming Pool. 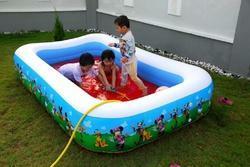 We are offering Kids Swimming Pool to our clients. We are also dealing with Kids Pool. Pools can be built into the ground (in-ground pools) or built above ground. Intex Kids Swimming Pool will provide your family with a whole lot of fun. 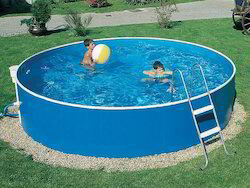 It is a compact swimming pool that will fit in any garden. This compactswimming pool by Intex is great fun. A valve is fitted at the bottom of the pool so that it can be emptied easily.